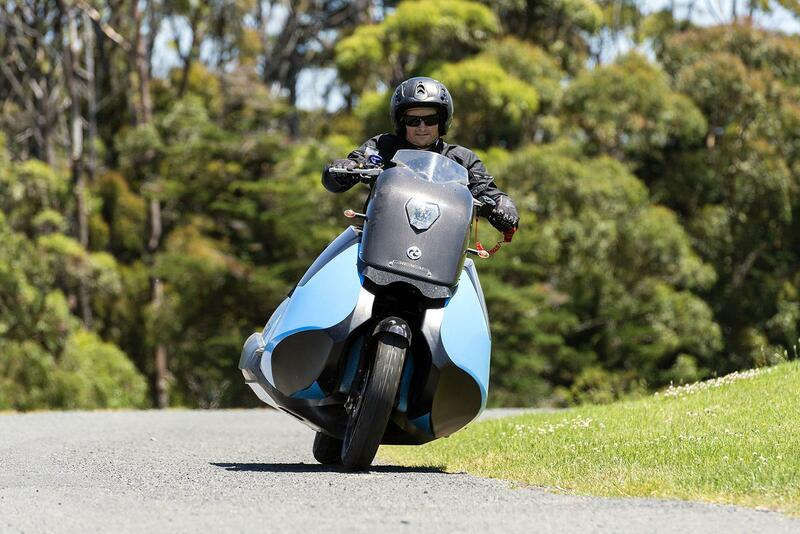 This scooter, which you can ride on land and water, will make you forget any cool thing people like Guy Martin or Robbie Maddison have ever conquered on two wheels in extreme conditions. 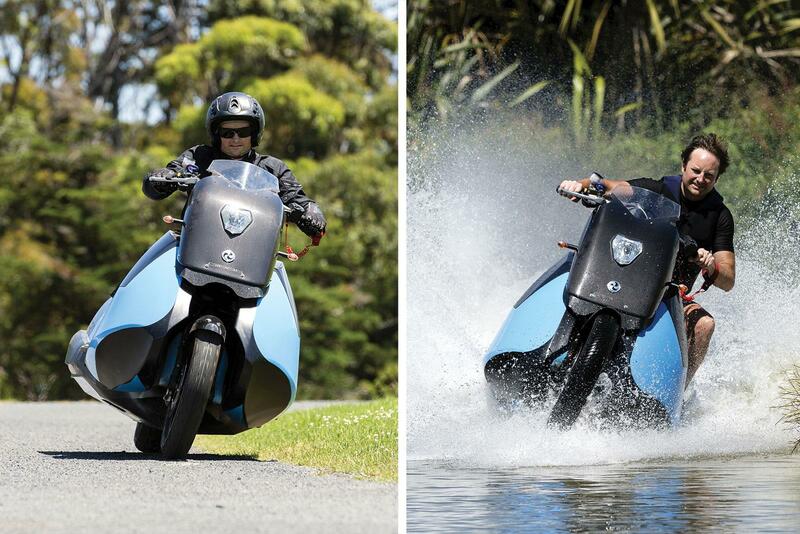 Called the Biski, it's powered by a 55hp 2-cylinder engine and at a touch of a button can be ridden on water in five seconds. 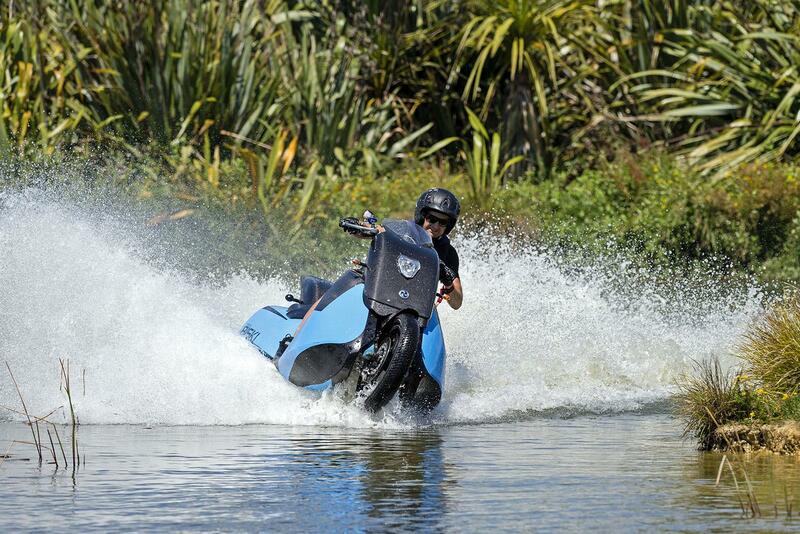 Reaching an impressive 80mph on land and 37mph on water, those with superhuman riding abilities need not apply. Built by British Company Gibbs Amphibians, who specialise in amphibious vehicles, the Biski is joined by other adventurous builds, like the Quadski, Humdinga, Triski and our personal favourite, the Terraquad. However, those glorious twisting Alpine roads across the water might lose their appeal on the Biski, as we don’t imagine you’d want to lean it over too much on land. Just imagine touching the extremely wide fairing on the tarmac and putting a gaping hole in the side? You'll be the definition of a sinking duck. With climate change becoming a potential threat to our lands, this could come in useful one day. Though that Toyota Hilux is still the business. You never know though, Honda might just snap up the technology and use it in their next X-ADV scooter.